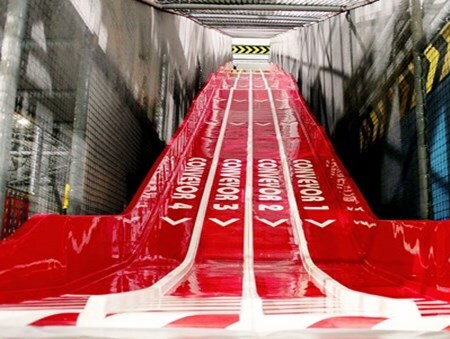 Play Factore is the UK’s leading indoor family entertainment arena. Play Factore facilities cater for children from 6 months – 16 years old. Play Factore are the only family entertainment arena in the UK where parents/teachers can play with children on age-applicable equipment. Meaning you can join in the fun with your little adventurers too! 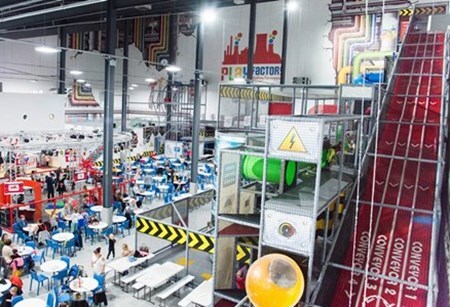 Play Factore’s state of the art venue houses the largest play frame in the UK along with a host of other unique attractions that are second to none. Based in Manchester next to the Intu Trafford Centre, Play Factore provides a complete day out for families shopping in the area and planning to entertain the children. State of the Art Facilities! The arena has been carefully thought out and is built, designed and structured to provide families with the ultimate play environment for all ages. This has been made possible through the tallest standing indoor slide in Europe, complete indoor laser tag arena, thrilling zip-wire ride, full Go-Kart track, an extensive toddler play area and the hugely popular Dance Off sessions. Children can enjoy learning the dance moves to their favourite chart hits with the Play Factore Just Dance sessions. Play Factore work hard to continually enhance the levels and quality of entertainment in its spectacular environment ensuring the whole family enjoy a thrilling experience. Play Factore’s amazing Italian coffee shop and pizzeria provides fresh and healthy food that all the family can enjoy. Only fresh and locally sourced ingredients are used by Play Factore’s in-house chefs to produce the menus dishes. The extensive menu consists of pizza baked in a traditional Italian oven, pasta dishes, Deli – baby options as well variety of deli style bagels for all the family, salads and wide selection side sharing plates. Dietary requirements are considered and catered for, as well as providing Kosher and Halal options. Play Factore delight in “Making Fun Happen” for all families. what's happening at Play Factore? We’ve put together a round up of all the TRAFFORDCITY attractions who provide Autism Friendly sessions. A complete day out for any school, club or charity and all under one roof! Download the Play Factore App to claim the Parents Go FREE offer when you sign up! Don't miss these thrilling weekday Morning Mayhem sessions at Laser Quest intu Trafford Centre!